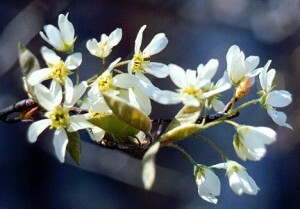 The Shad Bush is another name for the Downy Serviceberry, also called the June-berry (Amelanchier canadensis). 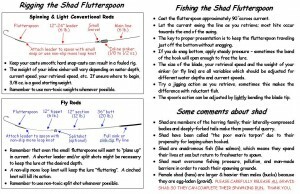 This bush, which is the first to bloom in the spring, is called the Shad Bush because it is usually in bloom when the shad are running up the New England rivers including the Connecticut River. 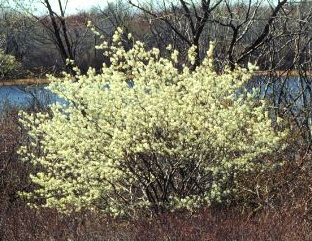 It has abundant white blooms in the spring, and yellow to red foliage in the fall. The red berries are edible, and are often taken by birds. 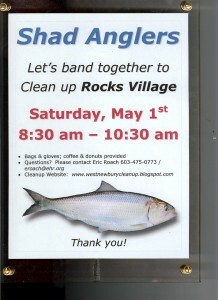 Let’s not forget about the Rocks Village Clean up on May 1.